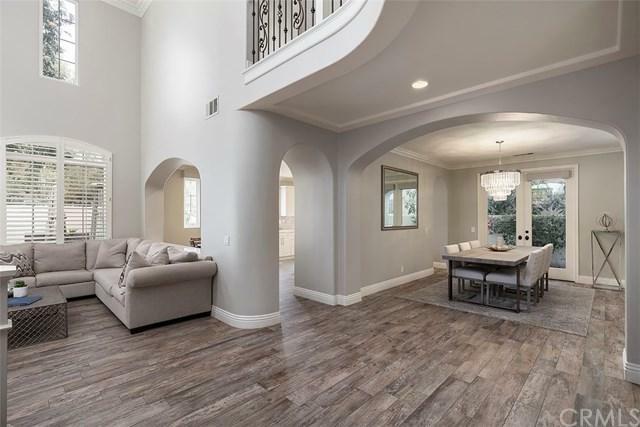 Gorgeous, modern upgraded home located in the prestigious Ladera Ranch Community of Amberly Lane. Dramatic entrance into grand high ceilings, neutral grained tile floors, Plantation Shutters, crown molding, Hunter Douglas automated window coverings and triple base boards. Entertainers kitchen highlighted by an impressive Quartz island, white pull out cabinetry, 6 burner Wolf stove top, custom backsplash, built-in refrigerator, and stainless steel appliances all open to a sunny nook and generous family room with a relaxing fireplace. Formal dining room upgraded with a stunning chandelier and opening up to a courtyard area. Main floor bedroom accommodates guests, playroom or an office. Expansive master suite with luxurious upgraded bathroom complete with a romantic soaking tub, separate Quartz walk-in shower, vanity, dual separate sinks, and large dual walk-in closets. Two ample sized secondary bedrooms, upgraded Jack and Jill bathroom, additional bonus room and laundry room, complete the upstairs. French doors open to a private yard complete with a serene fountain, fire pit, lounging area, built-in BBQ, and room to entertain. This home has been Re-Piped and meticulously taken care of. 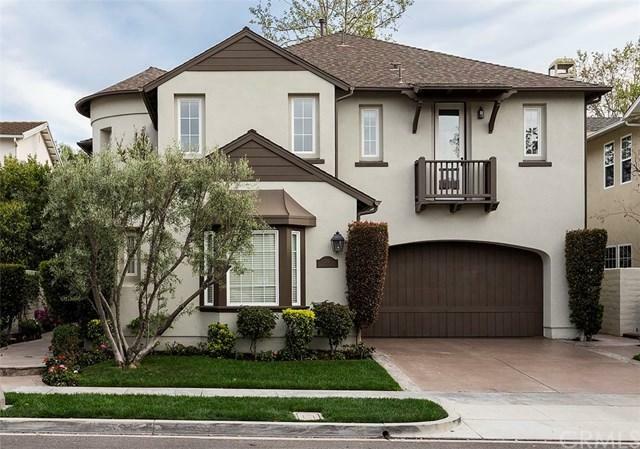 Two car garage and a separate 1 car garage complete this wonderful home. Community amenities include resort-style pools, parks, skate park, water park, basketball courts, tennis courts, biking and hiking trails, seasonal events, COX high-speed internet, and California Distinguished Schools.